Bring dawn all ingredients and reach 110000 points to complete the level. This is again hard level and have 49 black blockers that you need to break. First you break all blockers so later ingredients wont stuck on it and try to make just special candies. You should waste your move and need luck to complete this level. You should remember to balance the Odus owl and as moon will struck might help to take down few more ingredients. 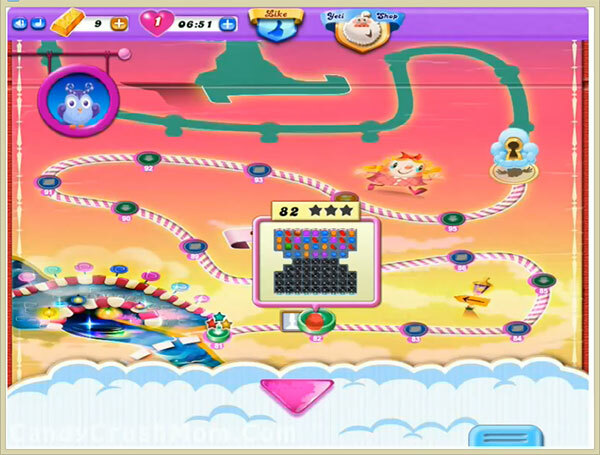 We completed this level with 3813140 score and we got much good luck in this level because as moon struck on last moves it bring down all remaining moves plus break lot of candies automatically for many minutes and got three star score.